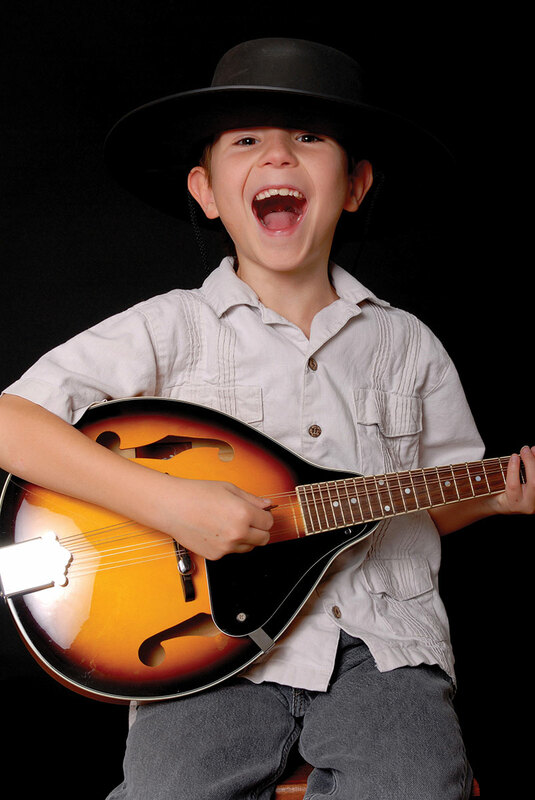 Do you have a kid who is musical but wants to play something other than the usual piano, guitar or violin? 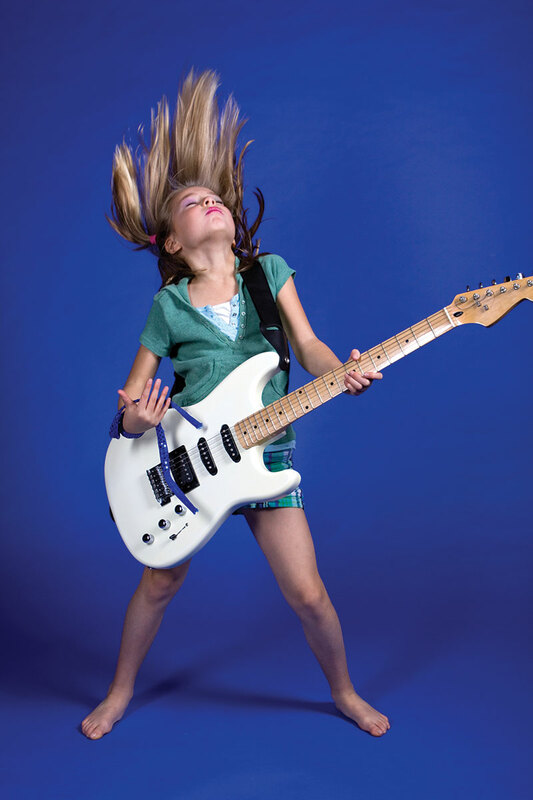 Does your kid love folk music or rock ’n’ roll? Or maybe they’ve watched their favorite cover song played on the ukulele on YouTube, and their fingers are wiggling to try it. The Seattle area offers a plethora of musical lessons in unusual instruments, geared toward even the smallest musicians. From the Celtic harp to the electric bass guitar, we have the class for you! This Hawaiian stringed instrument has gained enormous popularity in recent years due in no small part to YouTube. A video of musician Jake Shimabukuro playing While My Guitar Gently Weeps on the ukulele was one of the first YouTube videos to go viral. The standard uke, a soprano, has a figure-eight-shaped wooden body — much like a small acoustic guitar. Four strings are standard, but ukuleles can have different body shapes and as many as eight strings. Ukulele classes are ongoing at the Dusty Strings Music School in Fremont. Dusty Strings also offers lessons in flute, whistle, banjo, guitar, mandolin, harp, Appalachian dulcimer, fiddle and harmonica. Check out its quick-start classes as well as the free jams and workshops. Also called a tin whistle, this basic Irish woodwind is often heard in combination with other Celtic music mainstays, such as the fiddle. Attractive in part because of its price, penny whistles can be purchased for less than $10. The metal tube with eight holes and a plastic mouthpiece looks similar to a recorder, but the sound is very different. A penny whistle is diatonic, meaning it only produces eight notes (do, re, mi, fa, sol, la, ti, do), and the most common whistle is in D, which is the key of most folk/Celtic music. Both Irish jigs and haunting melodies can be produced on this fun, inexpensive whistle. Check out Dusty Strings in Seattle. Most of us are familiar with the tall classical harp seen in orchestras. But many haven’t heard of a smaller version, called the folk (or Celtic or lap) harp. At about 3 feet tall and weighing only 5–7 pounds, this is a great learning instrument for all ages. The harp doesn’t have sharps or flats, so kids don’t have to remember too many notes. The School of Magical Strings teaches both harp and hammered dulcimer. The fiddle is exactly the same instrument as the violin, but it is played in a completely different way. Pete Martin, who teaches fiddle lessons in the Seattle area, explains that in contrast to the violin, fiddle is usually played in small ensembles instead of in orchestras. Fiddlers usually play by improvising, rather than from written music. Because scaled-down sizes of fiddles are available, even very young children can begin learning on these instruments. Check Petimar Press for private or group lessons in Seattle and Issaquah, or Skype lessons from anywhere. Martin also teaches at the Dusty Strings Music School in Seattle. A member of the lute family, this stringed instrument is most often heard in bluegrass music in America. Crafted from wood, the mandolin looks somewhat similar to a small guitar, but is a higher-pitched instrument with shorter strings, Seattle-area mandolin teacher Pete Martin explains. Martin teaches mandolin lessons to kids as young as 6 or 7. Check Jazz-Mandolin.com for private, group or Skype lessons on mandolin. Martin also teaches at Dusty Strings in Seattle. at the Dusty Strings Music School in Seattle. makes it hard to hit a bad note. So, it’s very easy for all ages to play a tune right away. The metal strings make a nice droning sound; that’s what pleases people.” Check out Seattle Dulcimer and Dusty Strings Music School. This trapezoidal-shaped stringed instrument is only like the mountain dulcimer in name. You might have heard a hammered dulcimer while listening to folk or Celtic music, or at a Renaissance fair. The strings are made of steel, and instead of plucking or strumming, this instrument is played by striking the strings with a mallet. At the School of Magical Strings in Olalla, the hammered dulcimer is taught to kids as young as 6. And here’s a bonus — this instrument is played while standing, making it a great choice for wiggly kids who can’t sit still! Information about hammered dulcimer lessons can be found at the Magical Strings website. note at a time, forming the foundation and holding down the rhythm of a song. Tim Ashe teaches electric bass guitar to kids ages 5 and older at Seattle’s Meter Music School. “Bass guitar is one of the only instruments that can transfer from jazz band to orchestra fairly easily,” Ashe says. “The upright bass and the bass guitar are similar. A lot of kids are attracted to the bass line in songs like ‘Billy Jean’ by Michael Jackson or ‘Money’ by Pink Floyd. They hear these songs on YouTube and want to play them.” Other kids want to learn to pop and slap on the bass like the bass player in the band The Red Hot Chili Peppers. “I tell them that once they learn the fundamentals, they can learn fun, flashy moves like that,” Ashe says. Check out electric bass guitar lessons at Meter Music School. Meter Music School also teaches piano, drums, guitar, ukulele, violin, viola, cello, double bass, saxophone, clarinet, flute, trumpet and trombone. The school offers free community classes: MiniMeter weekends, BUG groups (band of ukuleles and guitars) and Easy Jam Classes. These schools and teachers are only a small sampling of the vast array of music lessons available in the Seattle area, and many offer a free trial lesson. In addition, free YouTube tutorials exist for many of the instruments listed above. As almost every music teacher I spoke with said, a child is much more likely to excel when they are allowed to play the instrument they are most drawn to.